If you are reading the information on our website it means that you are considering a trip to Costa Rica, Central American’s little jewel. 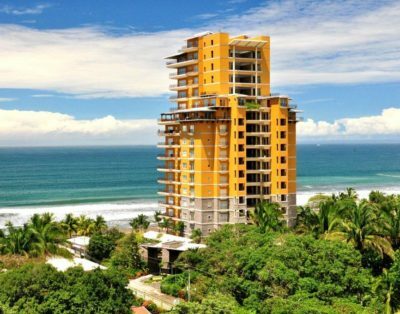 On this page of our website you will find helpful information that will assist you in planning your vacation and selecting the perfect property for rent in Costa Rica. There are 2 International airports in Costa Rica. San Jose, where the countries capital city is located in the center of the country or, Liberia, located in the northern province of Guanacaste. There are many airlines that fly into both airports, more are adding routes to Costa Rica every year from North America and Europe. If you are planning to spend time in Jaco, Manuel Antonio, Los Suenos, Dominical or Uvita, you will select San Jose airport as its approx. 1.15 hours to Jaco from the airport on the new highway. Additionally, if you are planning on visiting the Caribbean or east coast of the country, San Jose offers the closest proximity to your destination. If you are planning on visiting Tamarindo, Playa del Coco, Flamingo, Papagayo, Reserva Conchal or Hacienda Pinilla you will want to fly into Liberia. The highway is paved and an easy 60 minutes to Tamarindo. If you take the short cut to Flamingo and Potrero, from the airport called the Monkey trail, expect a dirt road with a few bumps along the way but the road is kept in good condition throughout the year. Once you are in Costa Rica, there 2 national airlines, Nature Air and Sansa, which have small airplanes that can quickly take you north, south, east or west. These flights all generally fly out of San Jose to the various small airports around the country. Check online for pricing and schedules. All of the homes, villas and condos that we recommend or which are a part of the elite Palms Collection are located within a gated community, ocean front or in a resort. Gated communities allow you peace of mind, offer diverse amenities either within the Resort or in the surrounding areas. Guests traveling with your party are registered at the entry gate for a seamless beginning to your vacation. IS THERE SOMEONE WHO CAN RECOMMEND OR HELP PLAN TOURS AND DAY TRIPS? The Palms Collection is pleased to offer its guests, complimentary assistance in planning all aspects of your vacation. We can organize every aspect from A –Z: transportation to and from the airport, rental cars, tours and adventures, daily housekeeping, private chef services and pre arrival grocery shopping. Your Palms Collection Concierge is here to answer every question and ensure all of your needs are met and exceeded! HOW LONG CAN I STAY IN COSTA RICA? For North Americans and most countries (though check on line with Costa Rican Immigration Rules and Regulations) a visitor’s visa is valid for 90 days and is granted when you enter Costa Rican customs at the airport. If you plan to stay in the country for 6 months or greater, then you must exit Costa Rica for a minimum of 72 hours, have your passport stamped by the country you are entering and then you can return for another 90 day period. Penalties may apply should the maximum allowance be exceeded. There are many U.S. and Canadian phone providers who claim that your phone will work in Costa Rica, though that is not always the case. Double check with your provider before you leave home. Using a local CR phone to call anywhere in Costa Rica is free, as there is no long distance charges within the country. If friends or family need to reach you from the U.S. at your CR destination, they would dial 011-506 – (8 digit CR number). IS THERE INTERNET IN COSTA RICA? Yes you will find Internet at fairly rapid speeds throughout the country. Nearly all restaurants, hotels, resorts and even public areas will offer free WIFI. Due to the fact that Costa Rica hosts many visitors each year, a large majority of the ‘ticos’ (common nickname for Costa Ricans) in coastal areas where hospitality jobs and tourism is popular do speak English. English is taught in school as a second language and those who hold professional positions within the country generally will speak good English. If you get off the beaten bath, you may find that you will need to know some Spanish to get directions and to interact and communicate with the locals. It’s never a bad idea to have a Spanish translation App on your phone or an old fashioned dictionary in your back pocket. In all cases, the locals appreciate the effort to communicate in their native language. Unlike Mexico and other Latin American countries, the water in Costa Rica is potable in hotels, restaurants, public areas and resorts. Many still prefer to drink bottled or filtered water but most hotels, resorts and restaurants already have a water filtration system so tap water is fine to drink, brush your teeth, make ice with and wash your vegetables and fruit. HOW ARE PHARMACIES IN COSTA RICA DIFFERENT? Many drugs which require prescriptions elsewhere can be purchased over the counter at any of the pharmacies throughout Costa Rica. If by chance you run out of a prescription drug, check first to see if a prescription is necessary at any pharmacy. Small clinics with qualified doctors will charge a minimal fee ($20 to $50) to write you a prescription. Many drugs are less expensive than North America as well and can be purchased in small amounts/ individual pills, versus having to purchase a whole box. SHOULD I BRING U.S. DOLLARS OR COLONES? When arriving at either of the International airports, there are kiosks to exchange your money. Beware! They do not offer fair market value. During your vacation, it is best to pay for items in colones, so use the bank machines, located often in the baggage claim area to take out colones from your bank. U.S. dollars are widely accepted but the exchange rate that restaurants, stores and taxi drivers offer will vary. If you want to exchange your money into colones at a local Costa Rican bank, be sure to bring your passport with you, as identification is required. If you are arriving into Costa Rica after 10 p.m. all bank machines will be ‘closed’. This is done nationally for security reasons. So be sure that you have enough U.S. dollars to get you to your hotel or to pay your driver. **Taxis in CR do not accept credit cards. As part of Costa Rican law, in all restaurants there is a service fee of 10% already built into your bill. If you feel you have received good service feel free to add a bit more, 5-10%. It is common to leave a tip for your housekeeper, concierge or to tip the massage therapist or driver. Keeping in mind the average wage in Costa Rica is $700 / month, don’t over tip. $5-10 is normally plenty, depending on the total bill. WHAT ARE THE KEY PHRASES I SHOULD KNOW IN SPANISH? Como esta? : How are you? Donde esta ______? : Where is _____? HOW DO I DIAL INTERNATIONALLY TO & FROM COSTA RICA? All Costa Rica phone numbers have 8 digits. As a general rule of thumb any phone number beginning with a ‘2’ is a land line, CR cell phones generally begin with ‘8’, ‘7’ or ‘6’. If someone from North America is trying to reach you at a CR number, they would dial 011-506 + 8 digit phone number. 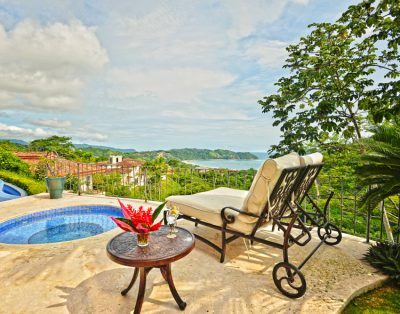 Palms International is committed to serving our clients with the finest selection of vacation rentals and long term rentals in Costa Rica. 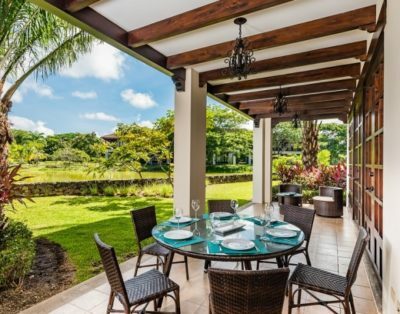 Our rental advisors, vacation experts and property management team are among the best in Costa Rica and we offer the finest properties for rent on the market. Rates and availability listed on this site are subject to change. Copyright 2016 | Palms Costa Rica Rental Collection. All Rights Reserved.